This recipe will show you how to configure your Raspberry Pi to talk to an Arduino using serial over USB. This will allow you to pass data back and forth between your Pi and your Arduino, allowing the Pi to command the Arduino to do whatever you want! 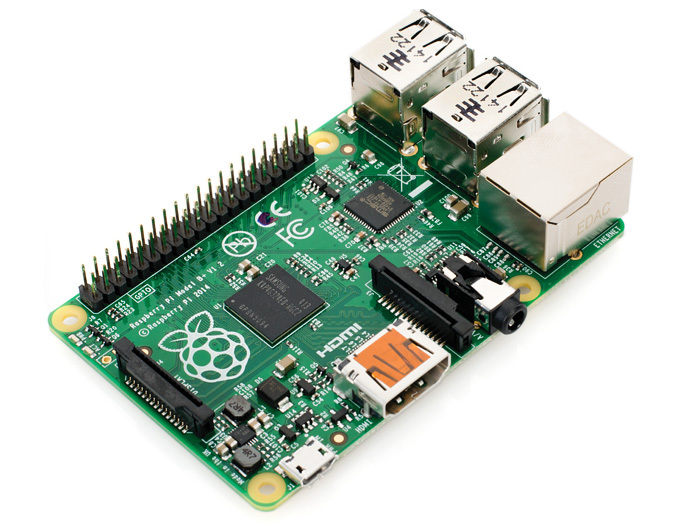 This will install the Arduino IDE and allow you to program your Arduino from your Pi. Open the Arduino IDE (in the main menu under Programming) and click File->Examples->01.Basics->Blink. This will open the Blink example in a new sketch window. The Blink sketch is a simple program that will turn the Arduino's onboard LED on and off once a second. 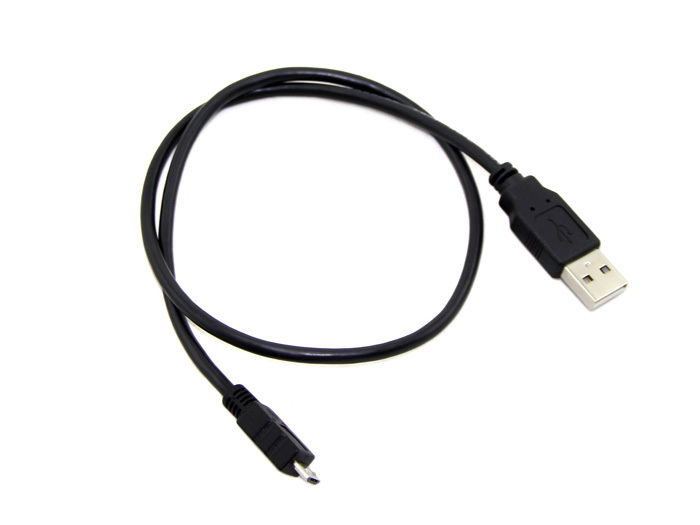 Now, connect your Arduino (Leonardo in my case) to your Pi with the USB cable. Back in the Arduino IDE, click on Tools and select your board type under the Board drop-down and the Serial Port under the Serial Port drop-down (it should look like /dev/ttyACMX, where X is a number). Take note of the Serial Port, we'll need this later. Once you have everything selected, go ahead and click on the Upload button in the Blink sketch window (the right facing arrow, or press ctrl+U). 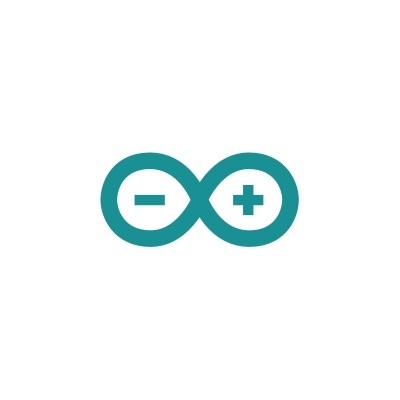 Once the sketch is compiled and uploaded, your Arduino's LED should blink on and off. If you ran into an error, make sure you selected the right board and serial port and try again. In this recipe, we are going to read a number coming from the Pi and blink the LED that number of times. Pretty simple, but it illustrates the basic communication principle. 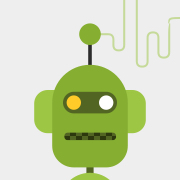 You can expand upon this and create a whole protocol (fancy word meaning the language two or more computers use to communicate) you can use to control all sorts of things on the Pi and Arduino. This sketch first sets up pin 13 (the onboard LED pin) to be an output pin. This lets us turn the LED on and off. We then start listening on the serial connection. If we every get anything, we read the first character and convert it into the number 1-9. We then blink the LED that many times. Go ahead and upload that to the Arduino. Now that we have our Arduino waiting for messages, let's setup the Pi to send them! Lets go ahead and open IDLE (Main Menu under Programming). This is a Python editor/command line tool. In your case, the /dev/ttyACM0 text should match the Serial Port that the Arduino IDE shows. If you get an error saying that there is no such file or directory, you have the wrong Serial Port. Check my troubleshooting section to learn how to deal with this. You should see the LED on your Arduino blink 3 times. If you did, congratulations! 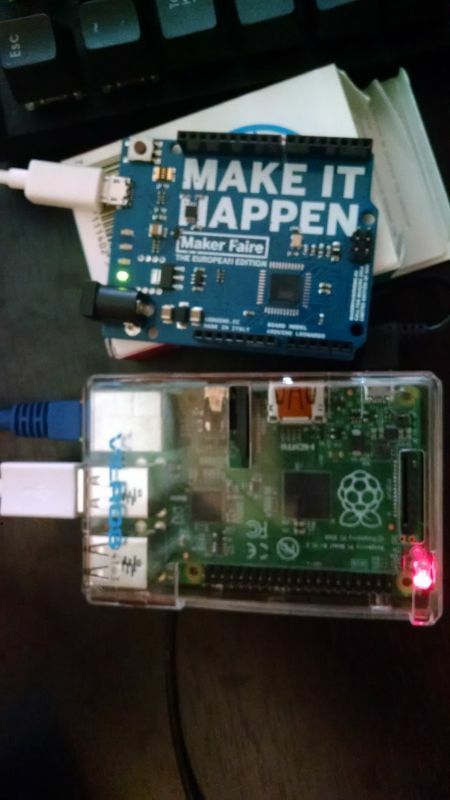 Your Arduino and Pi can now talk with each other! 5. What About the Reverse? 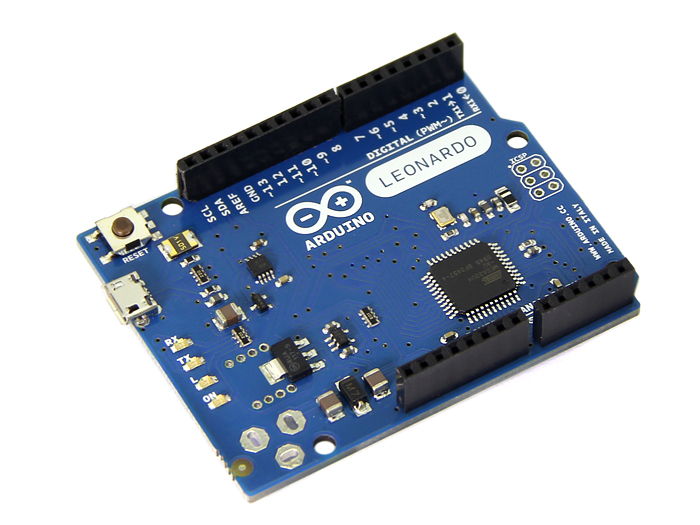 To have the Arduino send information to the Pi, use the Arduino's Serial.println function to write text and numbers over the Serial connection. 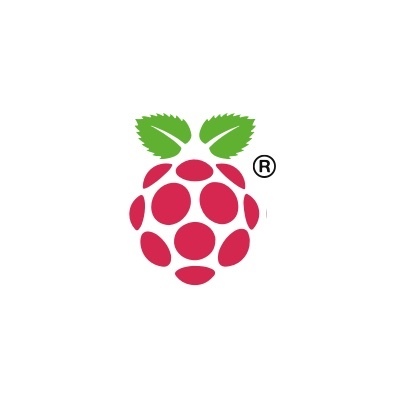 On the Pi, instead of ser.write we would use ser.readline() to read a line of text from the connection. with new lines appearing every seconds or so. Hit Ctrl + C to stop the program. Plug your Arduino back in. The new entry you see is the serial port you should use. The first time I connected and programmed the Arduino it used /dev/ttyAMA0. The second time I programmed it, it used /dev/ttyAMA1. It always helps to double check everything. Now that you have the basic communication link up and running, you can apply this to whatever project you are working on. 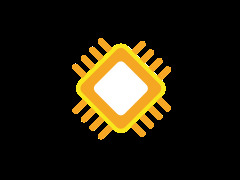 For example, you can have the Raspberry Pi read weather information and issue commands to the Arduino to control an LED display. The Raspberry Pi is great at talking to the Internet and displaying web pages. Arduinos are fantastic at reading and controlling all sorts of interesting sensors and gadgets. By getting them to communicate, you get the best of both worlds!